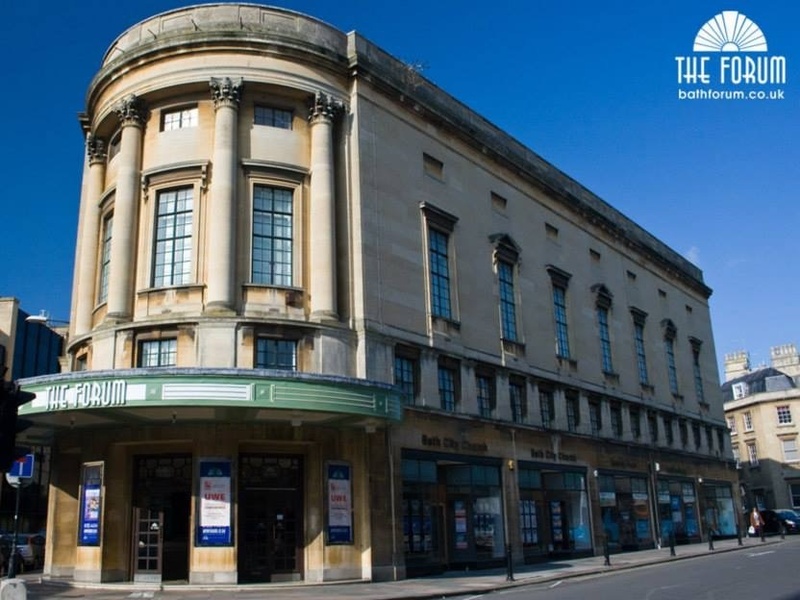 This week, we find out more about Bath's largest music venue, The Forum in Bath (a.k.a Bath Forum). We spoke to booker and programmer, Bryn Williams, who tells us all about the rich history surrounding the venue, their historic 100+ year old theatre, and how the building survived WWII. See full listings for The Forum here. Bath City is an indisputable world class leader in the field of historical architecture. But even the longest-established residents are aware that, away from the iconic heritage trail, there's always a new old treasure to discover - and The Forum is one such hidden gem. Having opened its doors to the public as a cinema in 1934, this remarkable venue celebrated its 80th birthday in May 2014. The cinema remained in operation until 1969 and the building has since accommodated a bingo hall and a dance school before Bath City Church took the building over in 1989. 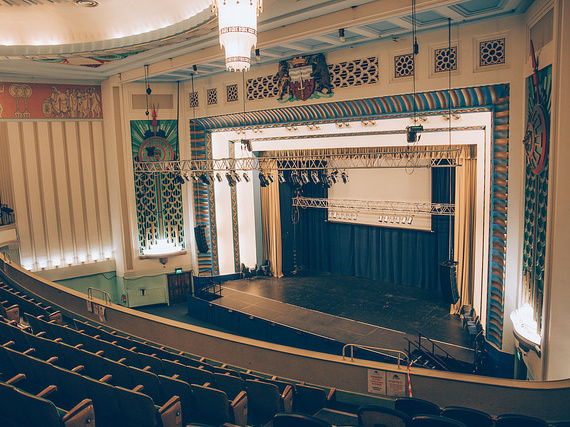 Many people don't realise that The Forum is Bath's biggest venue, and the third largest seated auditorium in the South West of England. But for many years, the building was overlooked, unloved, and allowed to slip into a state of careworn disarray. When Bath City Church took The Forum over, it had been allowed to crumble into a sorry state of disrepair. Thankfully, the church restored it to its former glory and recently set up a company called Bath Forum Ltd to manage the venue, deliver a new programme of events, and to look at refurbishment as an ongoing project. Today, The Forum represents a true reflection of typical Art Deco-era splendour, including lacquered wood fixtures and fittings, and gold-leafed flourishes all subtly vying for your attention. 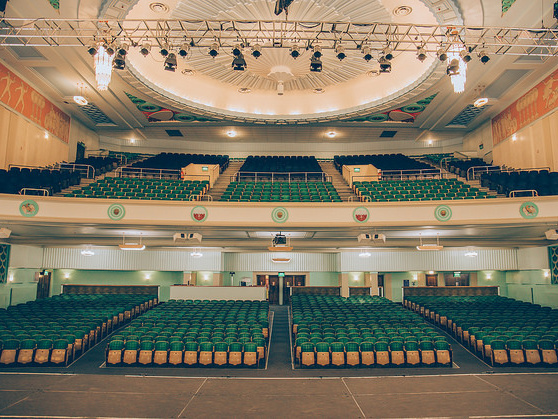 In the elegant auditorium, the iconic green cinema seats offer a spacious, luxurious audience experience. How many events do you host per year? The venue operates full time, hosting hundreds of events a year. We've hosted George Ezra, Jake Bugg, Jack Savoretti, UB40, Olly Murs, Gino D'Campo, Mary Berry, James Martin, and many many more. Which band that played your venue deserved/deserves to be better known than they are? Due to the size of the venue, it tends to attract acts that are household names already. What type of events do you regularly host? 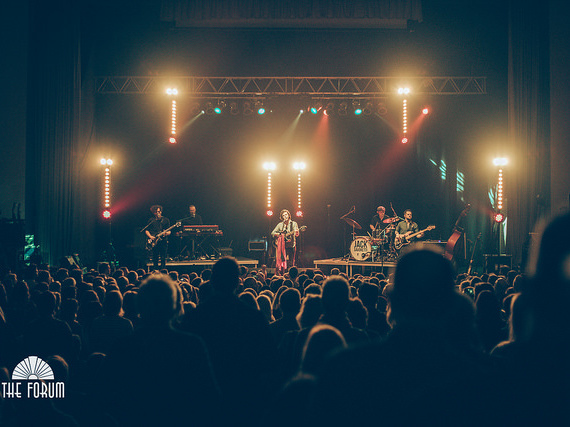 The Forum now hosts a huge range of music across all genres from pop, rock, folk, and classical, as well as 'Evenings With', comedy and dance. As a uniquely independent venue, it chooses to remain a part of the wider community by hosting conferences and private events, as well as continuing to be the home of Bath City Church, who still hold services in the building every Sunday morning and evening. The industry still tends to sway more towards men than women (equal opportunity and equality). The venue hasn't ever been under threat. The Forum is very proud to host globally known household names, as well as hosting community activities. Rufus Wainwright (appearing 28th June - click here for tickets). The venue has marble entrance floors and staircases, which has some surface cracks in it that people assume to be from ageing, but was in fact the result of a nearby bombing during the second World War. 1930s original tickets, and projection equipment were also recently discovered under the stage floor, and newspapers from that era were found plastered onto the wall of backstage areas. Track The Forum here to keep up to date with all forthcoming events. You can also catch them on their official website, Facebook page, Twitter, and Instagram accounts.